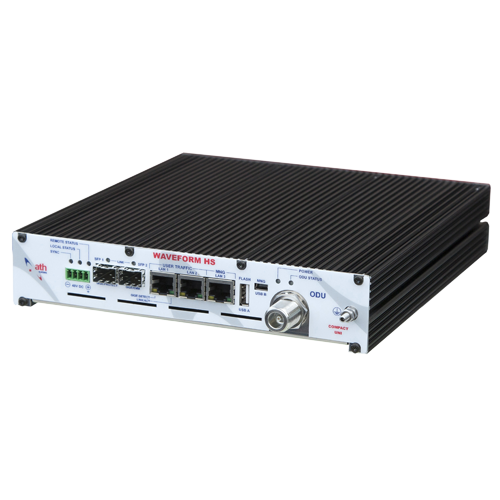 CUNI (AT103) represents a 2nd generation of Software defined Indoor Unit designed for split, point-to-point microwave radio applications. The IDU is designed to address universal applications on both Ethernet and PDH platforms and is ideal for the video streams distribution. This high speed Ethernet optimized system can be simply scaled thanks to EMM extension modules providing additional interfaces (DVB-ASI ports for HD video broadcasting and E1/T1 ports for TDM applications) when the service is requested at the optimal cost. The IDU is compatible with all major third-party ODUs for easy building of complete microwave radio systems. CUNI (AT103) IDU is the high capacity, high performance and flexible solution prepared for branding and customization to OEM customers.